The production runs straight through for 2 hours 20 minutes. The good news is that the dramatic flow is uninterrupted – but it also means an added challenge for the audience’s bladders. Apart from the fact that films rather than theatre that are more likely to exceed two hours without an interval, she’s wrong on tradition, too: it is actually the new ‘fashion’ for tighter, faster-paced theatre without an interval. Time was that the traditional three-act plays of Wilde, Shaw and their like would be played with two intervals, not one. Although at one extreme you have a theatre event such as Philip Glass’ Einstein on the Beach  – seen at the Barbican in 2012 – which runs for five hours without an interval (at least the audience were invited to come and go as necessary), now I’m starting to wonder where the intervals have gone. Of eight shows I’m seeing in New York this week, half don’t have intervals. Steve Martin’s new play Meteor Shower, which opened on Broadway last night, barely stretches to 80 minutes. I looked at the time that I came out and it was 9.23pm. Given that Broadway shows have a habit of starting somewhere between five and eight minutes late, that’s a short evening. So is The Parisian Woman, opening tonight, which advertises a 90-minute running time – as does the musical Once on This Island (opening on Sunday), and the Off-Broadway play Afterglow, which I’m also seeing. Of course, a show should only ever last as long as it needs to: there’s no point stretching it out for the sake of giving an audience a longer night out. It’s striking that when Cameron Mackintosh first produced Andrew Lloyd Webber’s Song and Dance in the West End in 1982, the title was a way of bolting together two separate pieces that comprised a solo song cycle for a woman (Tell Me on a Sunday) and a dance piece set to an orchestral suite – Variations. Nowadays, Tell Me on a Sunday is produced as a stand-alone piece – though a recent production at Newbury’s Watermill Theatre  tried unsuccessfully to expand it again by turning the second act into a Q&A with its star Jodie Prenger. 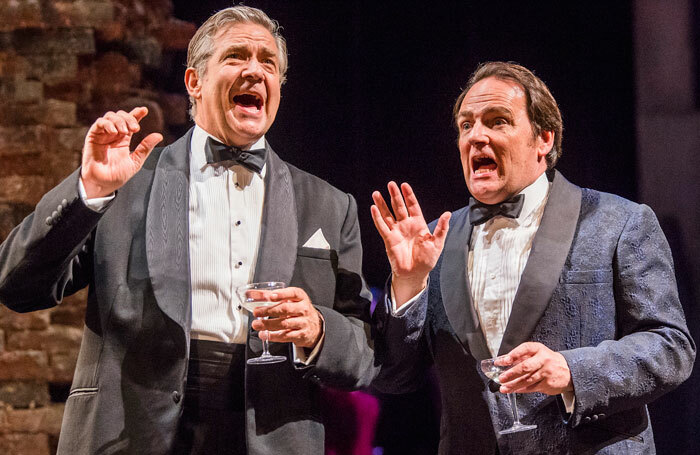 Theatres lose valuable opportunities for bar profits when a show doesn’t have an interval and some London and regional theatres add extra charges as compensation from producers who deny them it. But artistic integrity has lately been winning out: plays such as Heisenberg  at Wyndham’s and David Eldridge’s Beginning , soon to transfer from the National to the Ambassadors, don’t have intervals either. And they don’t feel any more or less satisfying for their absences. It’s a tradition some may miss but that I’m starting to enjoy. I love going to the theatre, but who needs the frantic and stressful rush to your seats twice in the same evening? Once an audience is settled, I’d say keep them there.